WPBakery & Revolution Slider Included. Avas is multi purpose responsive WordPress theme with light weight and less plugins. Ready to use for any purpose such as business, finance, corporate, agency, portfolio, app, news, blog, magazine, cleaning services, construction, designs, freelancer, wedding, restaurant, education, charity, shop, mechanic, moving and many more. Avas has 60+ different demos ready with one click demo install supported so you can choose any of demo according to your niche. Avas templates are built with super fast light weight Elementor page builder with drag and drop function so your website will not load heavily . We have added lots of options in theme options panel with Redux framework so you don’t need any coding knowledge. With Elementor page builder you can edit page and simultaneously see exactly how it looks like. It is instant drag & drop page builder, with live edit and fast page load. Side Menu & Menu Button added. Mega Menu included(No plugin needed). Built with Redux Framework for easy customization and endless options. Elementor Page Builder included which is the best light weight page builder won’t make your page slow. It has many ready-made templates. You can create nicer page within minutes. SEO optimized for search engine recognizably. 100% responsive, performs beautifully on all devices. Modern pixel perfect design with 19 customizable ready-made templates. Beautiful portfolio galleries, optimized for desktop, laptop, tablet and mobile devices. Google Font, Font Awesome, Flaticon and Icomoon font icon integrated. Fully integrated Contact Form 7 with CSS Style ready. Responsive sticky header with menu. Left – Right Sidebar blog layouts. Filterable portfolio layouts to choose of three columns grid, four columns grid and pagination. Translation Ready – You can translate the theme to your own Language. One click demo install integrated. - Sticky logo and sticky logo dimensions added. - Sub Header image added via Page featured image. - Demo import / re import / more than one demo import issue fixed. - Team Member 3 Elementor widget display name, position, bio and social profile option added. - Elementor query undefined index variable PHP error fixed. - Menu item separator option added. - Menu item top border on hover option added. - Selection color option added. - Elementor widget Static Product button spacing added. - Elementor widget Pricing Table 1 more color options added. - Elementor widget Team Member 2 box shadow added. - Music Band demo added. - Video tutorials added in Theme Options. - Elementor Team Member Carousel widget loading fixed issue and settings added. - Elementor Posts Carousel 2 widget loading issue fixed and settings added. - Elementor Dual Testimonials widget loading issue fixed and settings added. - Elementor Team Members 1 widget setting option added. - Logo dimensions option added. - Agency demo responsive issue fixed. - Single Post Featured Image show/hide option added. - Body background color change option added. 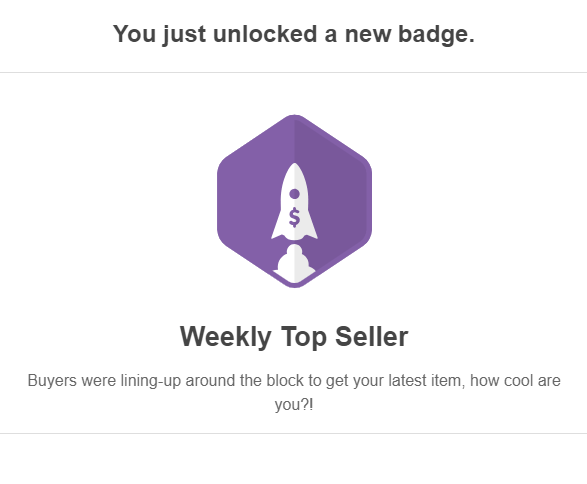 - WooCommerce product sale badge color option added. - WooCommerce product page button color issue fixed. - Mobile Menu color, background color, border color option added. - Default demo import issue fixed. - Templates demo divided into separately. - Website Builder demo added. - Multi Slider import issue fixed. - Crypto News demo added. - Post Carousel widget created for Mega Menu. - Elementor News Ticker widget added. - Mega Menu one column option added. - Search Icon and Side Menu margin, padding option added in Theme Options. - New header style added with background image supported. - Header position option added. - Sub Menu bottom border added. - Education demo responsive issue fixed. - Shop demo import issue fixed. - Education Course widget added for Elementor. - Profile Carousel widget added for Elementor. - Footer copyright text HTML format not working issue fixed. - App demo responsive issue fixed. - Login / Register and Sign up page text editable via Theme Options panel. - Breadcrumbs custom post type slug and home slug fixed. - Breadcrumbs added for all archive posts and separator updated. - Author Bio section for single blog post Hide / Show option added in Theme Options. - Team single page social link issue fixed. - Icon added on Login / Register link. - 7 New templates added. - New Elementor widgets Services 3, Price Menu added, WooCommerce Product Carousel, WooCommerce Product Grid added. - Product per row option added in Theme Options. - WooCommerce Sidebar option added for product archive page in Theme Options. - WooCommerce product per row option for product archive page in Theme Options. - Elementor Services widget PHP error fixed. - Top Header functionality re arranged. - Phone & Email color option added in Theme Options. - Recent service widget display issue fixed. - More WooCommerce color options added in Theme Options. - Footer widget position set center. - Give plugin included for Charity demo. - Recent services widget added. - Sticky Header enable / disable option added. - Business Header icons location, phone etc fixed. - Pinterest Style Demo added. - IT, Moving, Driving School, App Landing Page, Mechanic, Fitness templates added. - Web Solutions and Nice & Clean templates heading responsive issue fixed. - Main Header bottom border option added in Theme Options. - New Blog template added. - Mailchimp Submit button position fixed. - Social Share fixed on Service and Portfolio single page. - New Magazine template added. - Sub Header font size manage by Theme Options fixed. - Recent Post widget popular posts, filter by category, show / hide date and view counts added. - Sidebar Select option added on Theme Options. - Social share function added at single post header. - Social share border color added on Theme Options. - Added many layouts on Elementor Tiled Post widget. - Added Category and Tag Widgets limit control on Theme Options. - Post view count function added. - New Elementor widgets added. - Creative demo after scroll down white space fixed. - Functions.php blank screen fixed. - Product Landing Page Template added. - In product single page product image and description made in single column in mobile version. - Advert PHP error fixed. - Footer Columns / widgets, size / layout change option added Ex: Column 1, 2, 3, 4 etc. - Sticky Menu link color, hover color, active color option issue fixed. - Sticky Menu button link color, hover color, active color, border color option issue fixed. - Theme Options panel separator style made more attractive. - Elementor Table widget added. - Elementor widget Pricing Table 2 price and content border color option added. - Avas Testimonial Elementor widget background color option added. - Contact Form 7 Drop-down and Date filed style fixed. - Service single post templates added. - Service single page sidebar contact form added with enable / disable option. - Service single page sidebar Download PDF button On / Off option added. - Service single page Testimonial On / Off option added. - Portfolio single post templates added. - Team single post image border option added. - Avas Team Member Carousel Elementor widget border option added. - Post Ads enable / disable issue fixed. - Side Menu section added. - Menu button added in header menu. - Elementor Tabs widget mobile menu issue fixed. - Elementor Post Block widget overlay issue fixed. - Elementor repeater elements fixed. - 4 new Landing Pages added. - Ads undefined index fixed function.php line: 310. - Service single page sidebar enable / disable option added. - Service slug, Service Category slug, Team slug, Team category slug can be changed via Theme Options. - Team Skills enable / disable option added. - Ads enable / disable options added. - Service post type enable / disable options added. - Portfolio post type enable / disable options added. - Team post type enable / disable options added. - Top Header Space option added. - News Ticker arrow fixed. - Added icon space, content background color options in Avas Tabs elemenet in Elementor. - Portfolio single page gallery slider enable/disable option added in Theme Options. - Portfolio single page slider pause on mouse hover added. - Header Background color RGBA added in Theme Options. - Center logo header style added. - Portfolio meta enable / disable in Theme Options. - Single portfolio progress-bar color option added in Theme Options. - New template Finance created. - Mobile menu css issue fixed. - ICO Cryptocurrency template released. - Time-line element added in Elementor page builder. - Nice and Clean template created with Rev Slider. 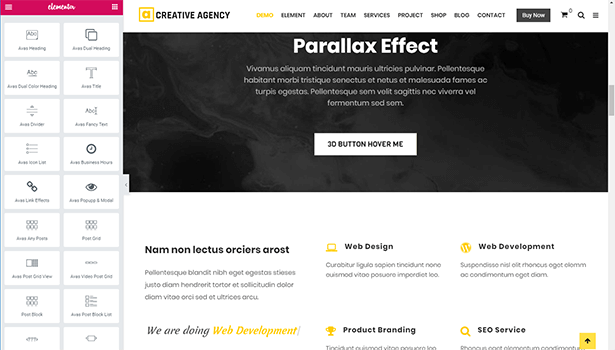 - Web Solutions template created with Rev Slider. - Contact form textarea auto capitalize fixed. - Elementor page template issue fixed. - Portfolio single page Light Slider integrated with small image thumbnail. - Portfolio single page project details meta fields added. - Cleaning Service template created. - Team Member Carousel Elementor widget created. - Services Elementor widget created. - Dual Testimonials Elementor widget created. - Social profile icon color options added. - Social Media shotcode [avas-social-media] added. - Post date background hover color option added. - Sub menu font issue fixed. - New Business Header style added. - Logo fixed height removed. - Logo bottom padding issue fixed. - Menu font issue fixed. - Menu Color issue fixed. - Menu space added on Theme Options panel. - Main Menu Bar background color option added. - Top Header phone & email enable disable option added in Theme Options panel. - Sticky header bottom border removed. - Photographer & Designer Templates added. - Portfolio content css issue fixed. - Team members hover text issue fixed. - News header sticky menu fixed. - Odometer css issue fixed. - New template Digital Agency created. - Baner / Adsense ads can be added via admin panel those will be displayed on header and post content paragraph. - Social share enable /disable via Theme Options. - New elements added on Elementor. - Social share integrated on post, portfolio, services. - Video post format create for youtube and vimeo video. - Gallery post format created for image gallery. - Theme installation PHP error fixed. - Manually import dummy data updated. - Default demo content fixed. - New options added on theme panel. - Service post type created. - Team post type created. - Mega Menu responsive issue fixed. - Login / Register popup integrated. - Elementor new elements added. - New Template Startup added. - Back to top button added. - New features added on theme option panel. - Elementor loading issue fixed. - Header section enable / disable function added on theme options. One click demo install added.